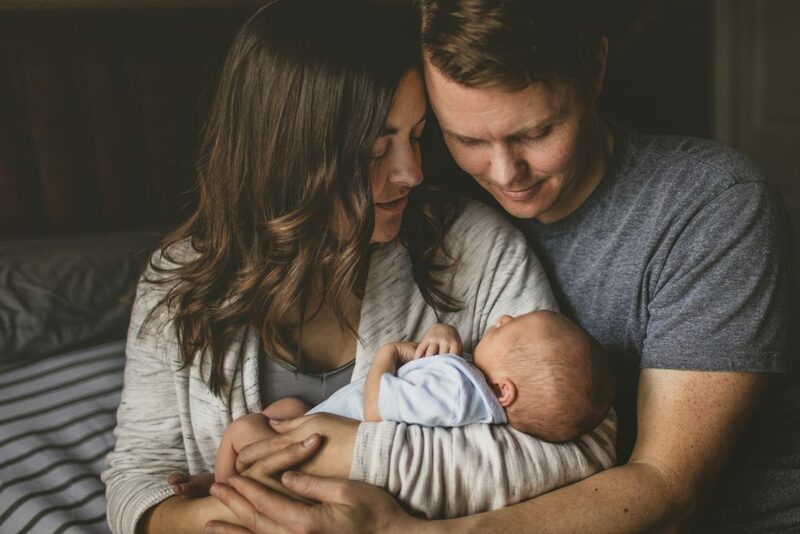 A lot of people start looking for a Toronto family photographer either when they are pregnant and looking for maternity photos, have a new baby or when grandma asks for a picture other than school pictures. While capturing the every day moments with your cellphone is awesome and still really important, finding and establishing a relationship with an awesome Toronto family photographer will create such valuable images that you won’t think of them are mere photos; rather, as family heirlooms. Taking professional photos is so important! Not only does working with a professional photographer give you the opportunity to get high quality images but it also gives you – mom and/or dad – a chance to be in the pictures with your kids! When your children grow up, they’ll want to see more than just photos of themselves. They’ll want to see photos of them with you. To Find “the Happy Now”. So many people make excuses for not taking photos. It’s common to hear people say “when I lose ten pounds” or “after this awful haircut grows out” or “once his/her braces are off”. Some people put off taking photos for other reasons; perhaps it’s been a tough year for the family; perhaps there’s been illness or loss. Regardless what is happening in your life; there’s always something to be happy about now. Even if it’s something very small; there’s always “the happy now” that is worth celebrating. We do not need to wait for things to get happier. Photos do not need to happen when life is at it’s peak happiness. Celebrate the small moments in life regardless of what life has handed to you; celebrate The Happy Now. Our stories change to very fast. Children grow so fast. Every week and month that goes by, your little ones are maturing and changing. Our families and our stories can change so very quickly; take family photos to remember that snapshot in time. Photos evoke emotion. Looking through photos can make you laugh, smile and even cry. Photos tell a greater story than any words can; they depict who we truly are deep in our soul and not just on the outside. Photos are a genuine representation of self. Photos give you history. You are important, your family is important – and you legacy? It’s very important. Every family, no matter how big or small, has a story to be told and a story that is worth sharing for years to come. Photos give you that story. Memories are powerful. How many times have we said “I’ll never forget this moment” but years later we realize our recollection isn’t what is used to be? Capturing your moments with photos creates powerful memories that provide you with opportunity to relive those times in vivid detail. Your memories are worth documenting. Your every day life? It’s beautiful! You’ve worked so hard to get where you are and you’re worth celebrating.